So, I made myself a pair of Jeans. This time, I used the Jalie pattern Amy has introduced me to here. 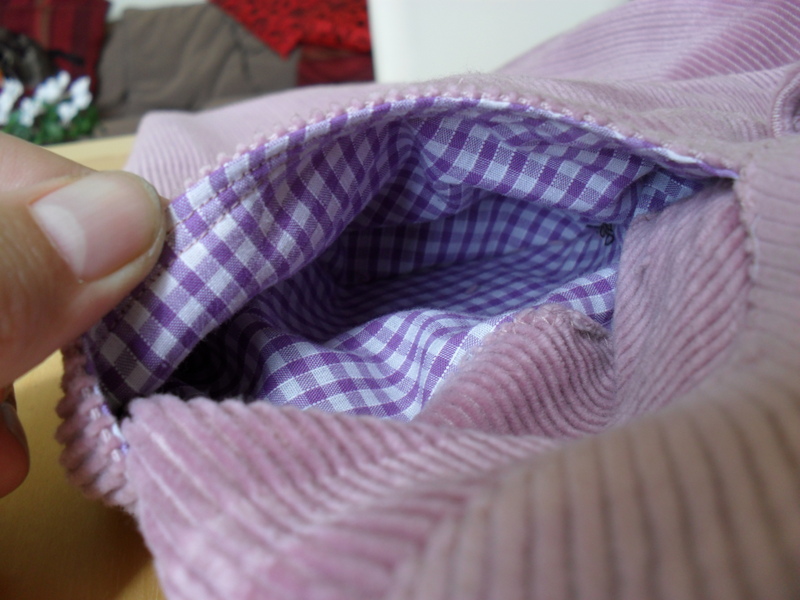 In a fit of madness, I decided to use the fashion fabric right away, and not make another bed sheet toile. 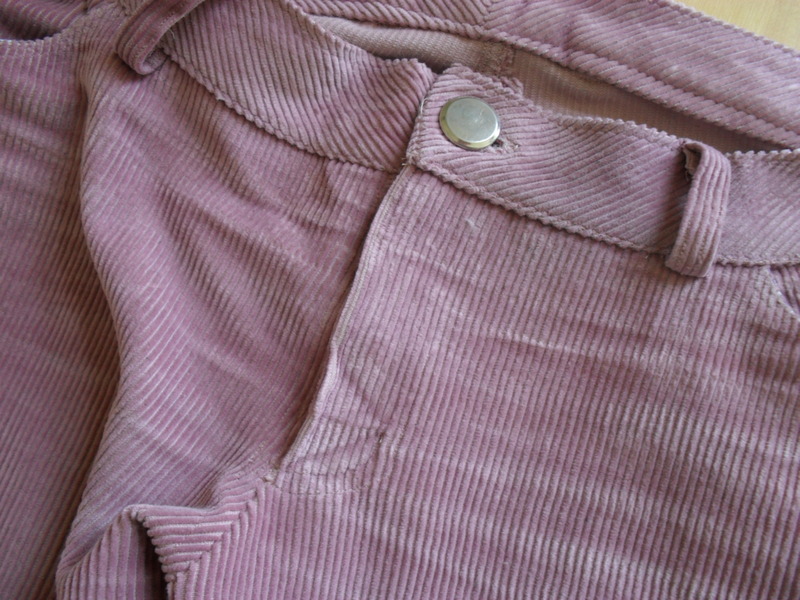 Now, truth be told, I had three variations of the fashion fabric: black corduroy, which I suspect I don’t have enough of; dark blue denim; pink corduroy. Not wanting to cut into the denim (bought at the exorbitant price of £4.49 at FabricLand), the choice was between pink and black corduroy. Now, I used to own a light grey corduroy jeans I loved to bits. Literally, I’m afraid, so it had to go a few months back. That’s when I first thought about making my own, and coincidentally also when I first heard about the Jean-ius class on Craftsy. More on that later, tho. I decided to go with pink, because, so I argued to myself, a pink pair of Jeans isn’t really going to make it into my everyday wear, so if I screw it up, it won’t matter so much. 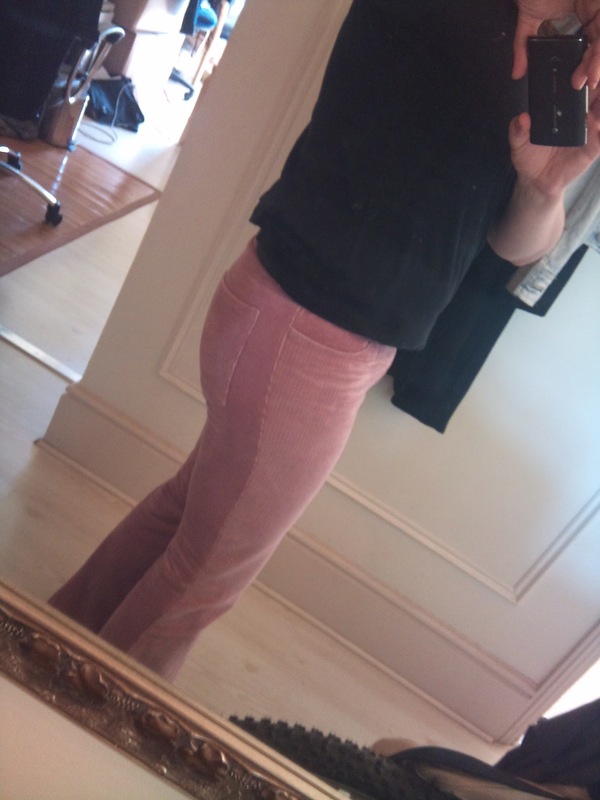 Enter stage left: pink corduroy jeans. It is rather awkward to get a good shot of your own bum, I learned. But more to the point: I didn’t screw them up. They are pretty much perfect. And consequently, I lived in them for a week. My initial feeling these won’t make it into everyday wear? Wrong. But I digress. Probably to procrastinate what I have to do. So, here it is: the rear view. All in all, I’d call this a success!